[Android] Pupil Distance Meter v2: improved design, performance and accuracy. Version 2.0 of the app has new design, improved performance and slightly simplified measurement procedure that allows you to achieve more accurate and consistent measurement results. Pupil Distance Meter 2.0. New design. 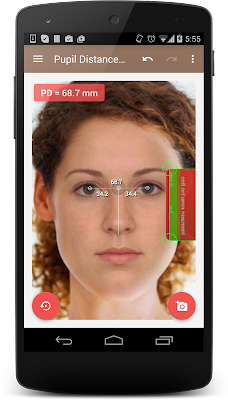 For accurate and repeatable measurements you would need to hold a reference card next to your eye corner on the left or right side of your face. 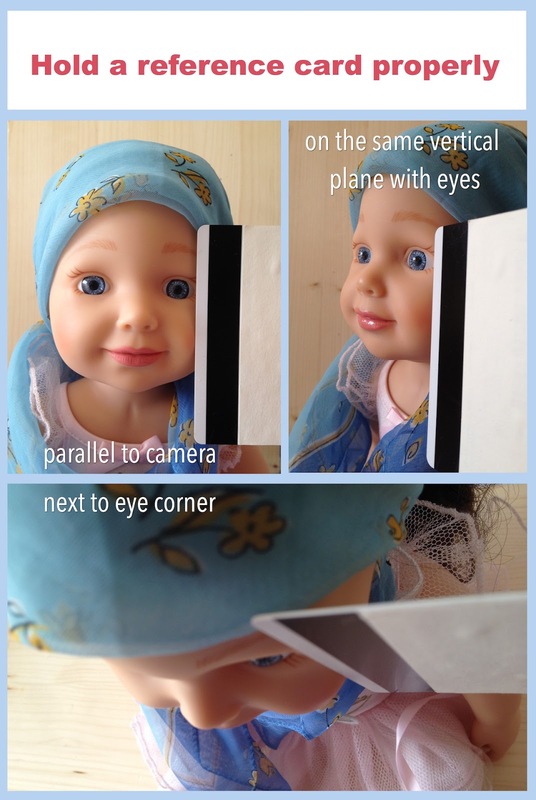 The card has to be on the same vertical plane with your eye pupils and be parallel to the camera / display. For the best result do not bring the camera close to your face and keep it at arm's length or farther. Don't focus your eyes on the camera when taking a picture, try to look "through" the device - by doing this you can avoid bringing additional error when fixing pupils at one point. 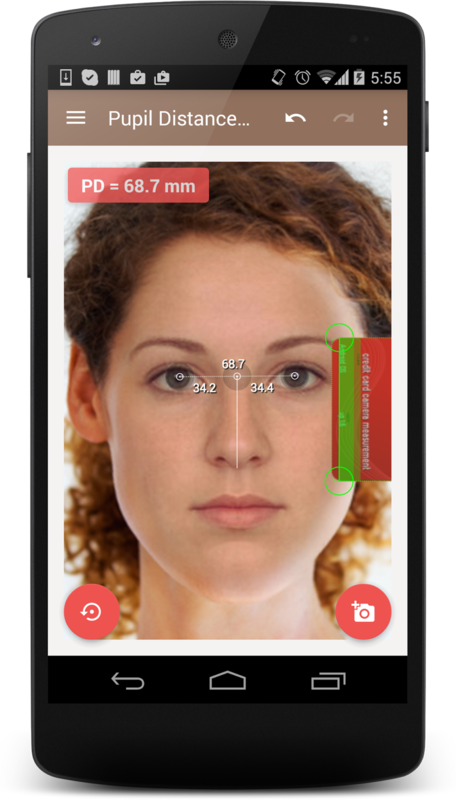 As a final step make sure your PD result is within normal measurement range: 50 - 78 mm for adults (41- 55 mm for kids). If it's not, please check the above instructions thoroughly and try again. If you have questions about the app or have improvement suggestions, please contact us.